"WELL, it is always nice to see some rain, but this has been a bit much for too long, especially with all the roadworks that are going on down the Midland Highway, and elsewhere,” Graeme Palmer from Tunnack told us the other day when we caught up with him taking a refreshment stop at the Epping Forest Caltex. 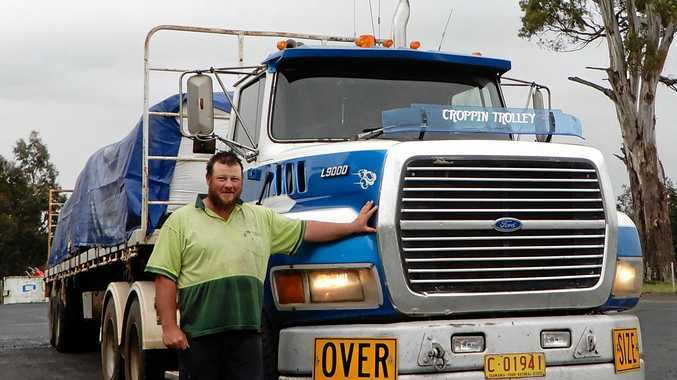 He was driving a Springhill Pastoral 1993 Ford LN9000 Louisville with a 405Hp Series 60 up front, and he was towing a flat-deck load of fertiliser from Incitec Pivot at Longford to Tunbridge, before knocking off for the day to get home where he could be warm and dry. We asked him about time off, and he told us he has a farm of his own, where he runs a few sheep. "With all the rain it's looking good this year and doing well, so that takes care of any time off,” he said.